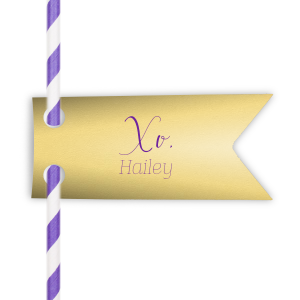 Dress up drinks with your theme! 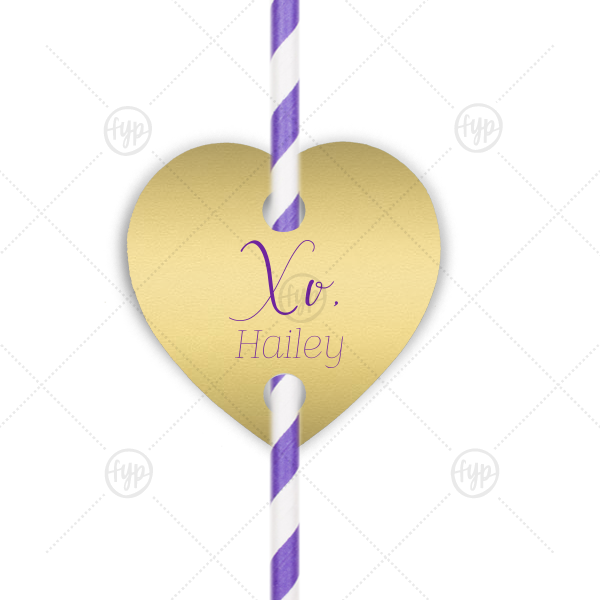 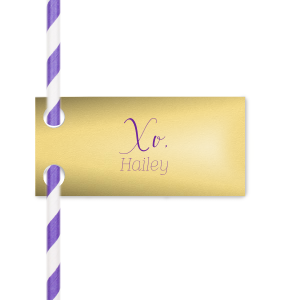 Add this custom straw tag in Poptone Mimosa with Amethyst foil and a purple straw for a sweet feminine addition. 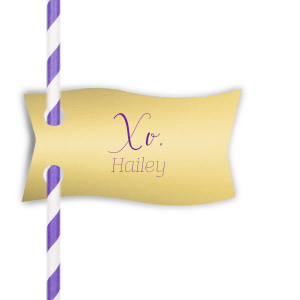 Pair your name with our hand lettered calligraphy XO for a personal touch guests will love.